1. How much time do you have to commit to practices, games, and administrative tasks? 2. How does your family feel about sharing their time with a soccer team? 3. Are you qualified to coach? 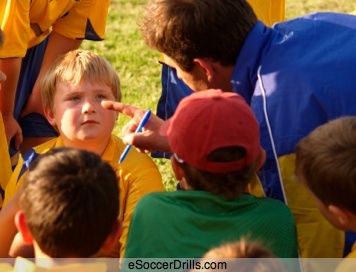 What is your experience with soccer or soccer coaching in the past? If the answers to these questions are positive, consider coaching youth soccer. To get started, contact a local team, league, or school. Ask about the proper way to put in an application and what the needs of that team are. Coaching youth soccer requires the coach to wear many different hats. Especially with younger athletes, the coach will have to serve as a teacher, a counselor, a nurse, a policeman, and a judge. The coach will be looked at as the ultimate authority, and many seemingly insignificant problems will be brought before the coach for judgment. Coaches must be prepared for these realities, as it can otherwise be overwhelming. Just like parenting, coaching can sometimes mean appeasing the athlete with a band-aid or settling a disagreement between two best friends. Many coaches involved in coaching youth soccer come in unprepared to manage the team administratively. At the beginning of the season, coaches should work with their league managers or school athletic department to arrange for a consistent practice location, to set the schedule for games for the year, and to discuss any purchases required for the year. The coach should be prepared to prove their need for new equipment, uniforms, or supplies. To prove this, coaches should have data on the age of the current items, a reason for their inadequacy, and a suggestion for purchasing the replacements. The coach should also have financial information available for review and be able to back up why they chose a certain company or type of equipment. Administratively, the coach should also work to ensure the safety of all athletes. This means inspecting the practice area for dangers, informing the league administrators or school athletic board, and fighting for the needs of their athletes. Coaches must collect and always have available medical information for each athlete and emergency contacts. 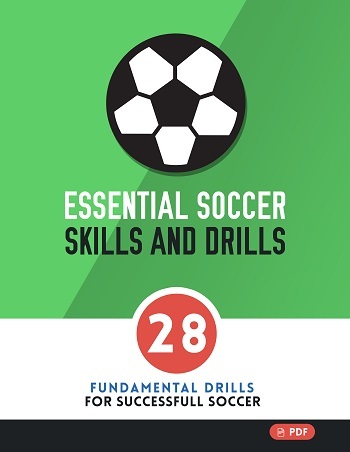 Coaching youth soccer can be quite time consuming, and coaches need to remember their own personal needs and the needs of their family and friends. Coaches should strive to stick to the time commitment of the team and not volunteer for additional responsibilities unless they are certain their family will not mind. Coaches should strive to include their family and friends in activities, inviting them to soccer games and asking them to cheer the team on. Most of all, coaches coaching youth soccer should not sacrifice their personal lives for the good of the team. If the coach has a child involved in ballet, for example, the coach should strive to attend ballet recitals and performances instead of miss them for soccer-related activities. This will help the child feel involved and remind them that they are important and loved.